Peter Tesar Architectural Design - You have hit the nail on the head! Health & safety has to be at it&apos;s most volatile when it comes to construction. So why do we treat this subject with so much disregard? Having acquired a national NEBOSH certificate in Health, Safety & Welfare, my views have changed slightly in favour of the EMPLOYER! I never thought I would say that but it would seem that whatever training, education or guidance an employer provides on this subject, in the eyes of the law it is just never enough! One case, someone broke into a building, broke through caution boarding, broke the padlock and chain from the doors and then fell into an empty swimming pool and subsequently broke their leg… and still successfully sued the company for negligence! Having run a construction company for years, I have lost count of the stupid antics that employees get up to, either to impress, have a laugh or to make things ‘easier’ for themselves. This is all well and good until it all goes pear shape! Then all of a sudden their great aunts dogs mate work in HR and knows the law inside out… I do think it is time we all take a little more responsibility for ourselves for both health longevity and self preservation. 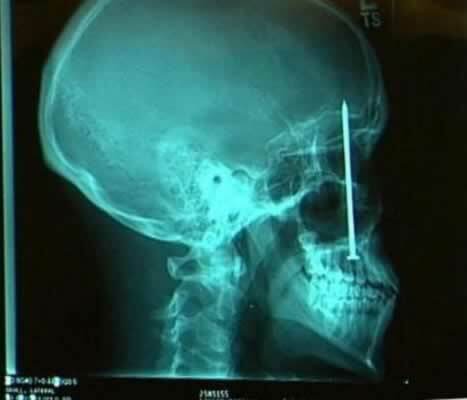 So next time you choose to clear your nose with a nail gun, remember that the law won&apos;t always be on your side.